GRK Cabinet screws have a patented design for specific use in cabinet construction and installation. Cabinet screws are manufactured in a #8 gauge (4mm) diameter. These screws are thin enough to prevent most material splitting, while providing sufficient strength to guarantee a secure installation. The washer head design presses flush against any material surface. 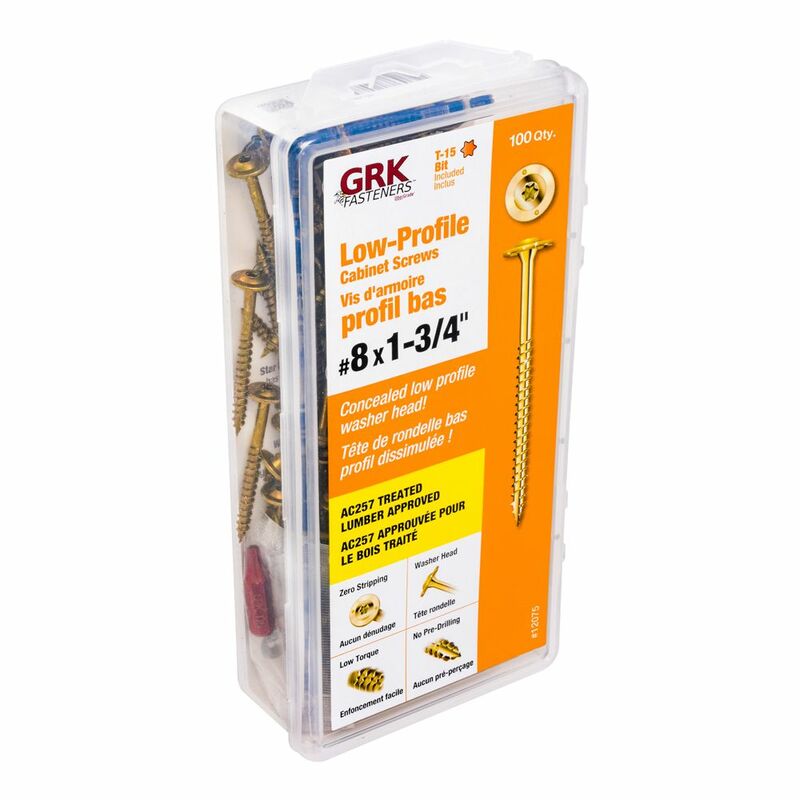 #8 x 1-3/4-inch Star Drive GRK Low Profile Cabinet(TM) Screws Climatek(TM) Coated Handy-Pak - 100pcs GRK Cabinet screws have a patented design for specific use in cabinet construction and installation. Cabinet screws are manufactured in a #8 gauge (4mm) diameter. These screws are thin enough to prevent most material splitting, while providing sufficient strength to guarantee a secure installation. The washer head design presses flush against any material surface.